The final story of season 2, The Time Meddler, at first seems like a standard historical adventure but it's soon revealed to be anything but. To start with, the Doctor and Vicki, having said goodbye to Ian and Barbara meet their new travelling companion, spaceship pilot Steven Taylor. Steven actually first appeared in the final episode of 'The Chase', helping the Doctor and his friends escape the Mechanoids. He inadvertently finds himself on board the TARDIS without anyone's knowledge and has little choice but to join the Doctor and Vicki on their adventures. Fortunately, despite some initial scepticism, Steven takes to time travelling like a duck to water. 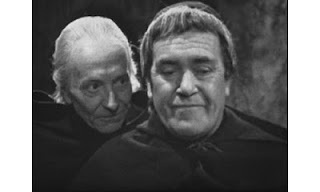 He and Vicki more or less carry the second episode (as William Hartnell was on holiday again) and they make a good team. Steven is very much in the same heroic male lead mould as Ian was but he manages not to be a clone of that character. The Monk himself is a great character. Not actually evil, just mischievous, he wants to change the outcome of the Battle of Hastings beleiving that things would be better with Harold as king rather than William the Conqueror. It's unclear whether the Monk truly believes he is doing is good or if he is just trying to justify his actions to the Doctor. Whatever his reasons, the Doctor doesn't stand for it and he puts a stop to the Monk's meddling. The interplay between the two characters is a lot of fun so it's nice that this wasn't that last we had seen of the Monk. 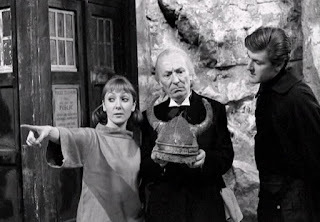 After 'The Time Meddlar' Doctor Who went on its summer holidays but, while it may not have been on TV, fans in 1965 could still get their fix of 'Who' at the cinemas. 'Doctor Who and the Daleks' made its big screen debut in August 1965. The film was based loosely on the first TV Dalek story but, with the TV cast being unavailable (what with them making the TV series), alternatives had to be found to take on the roles of the TARDIS crew. 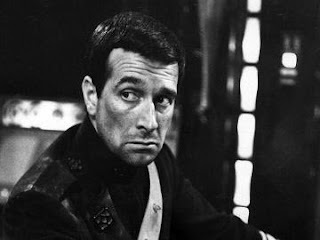 Playing the all-important role of the Doctor (or rather Doctor Who) was the legendary Peter Cushing while Ian (who is very much the comic relief) was played by the equally legendary Roy Castle. Of course the most exciting aspect of the film was the fact that it was the first time that the Daleks (or indeed Doctor Who) had appeared on screen in full colour. The whole production has a scale that simply couldn't be matched on the small screen and the trailer took full advantage of this fact. Doctor Who was back on TV in September 1965 with 'Galaxy 4', a 'race against time' story set on a world that is about to blow up. There's actually surprisingly little to say about this story. The Doctor meets two races of aliens that have crashed-landed on the planet - the beautiful, all-female Drahvin and the green, scaly Rill One race is nice, one is nasty but it's not immediately obvious which is which. An early lesson for the series in not judging by appearances. Following 'Galaxy 4' was an oddity - a single episode called 'Mission to the Unknown' which acted as a prologue to the epic 'Daleks Masterplan' which was to follow a few weeks later. It was also unique for being the only episode of Doctor Who to not feature either the Doctor or his companions in any way whatsoever. 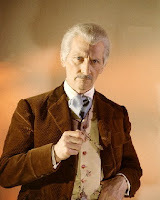 ...in about 4 weeks time after the Doctor and his companions have finished an adventure in ancient Troy. Now this must have really confused and/or frustrated some viewers. 'Mission to the Unknown' had ended on a huge cliffhanger and the Daleks had returned but, rather than continue that story, the production team chose to produce 'The Myth Makers' first. 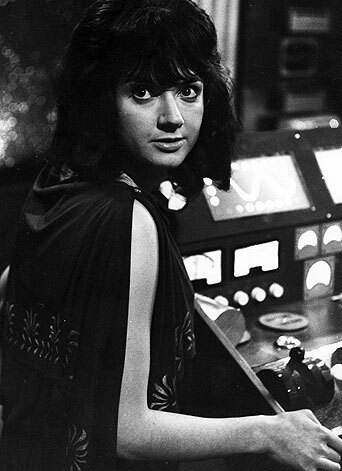 Although probably not the story that most viewers were expecting or hoping for, 'The Myth Makers' is quite important: we see the departure of one companion, the introduction of a new one and - behind the scenes - the debut of a new producer, John Wiles, who gradually starts to take the series in a new direction, beginning here. Oh, and the Doctor comes up with the idea for Wooden Horse of Troy. Is there a Doctor in the horse? Well there was here. It's Vicki who leaves here, the orphan girl from the future choosing to live the rest of her life in the past, playing Cressida to her very own Troilus. Her replacement is a Trojan serving girl, Katarina who only appears in the closing episode of the story. Katarina is one of the few companions who doesn't choose to travel with the Doctor. 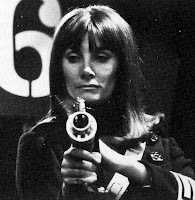 In her case, she is ordered (by Vicki) to help Steven, who has been seriously wounded in the final battle for Troy, to reach the TARDIS. 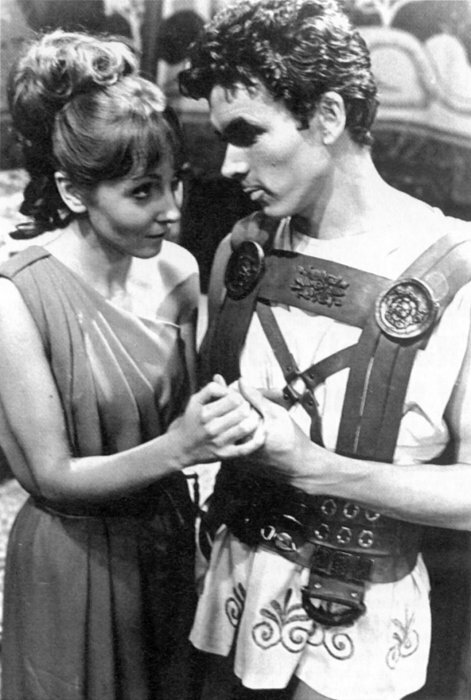 The Doctor chooses to rescue Katarina from certain death at the hands of the Greeks by taking her with them. The year closed with the first half of what is the first truly epic Doctor Who story, 'The Daleks Masterplan'. Taking place over twelve episodes, the story had big ambitions even if it didn't quite have the budget to match. Finally, after 4 weeks of waiting, the Daleks are back to put their masterplan into operation, which involves unleashing a their latest weapon - the Time Destructor. The Doctor, Steven and Katarina land on the planet Kembel, last seen in 'Mission to the Unknown' and discover the late Marc Cory's final message. The Doctor steals the Tarranium core that powers the Destructor and he and his companions, in the company of another Space Security agent, Bret Vyon, fly to Earth to warn them of the Daleks plans. So much happens in the first seven episodes, which takes us up to the end of the year, that it's hard to summarise it in a few words. But in brief: Katarina dies en route to Earth (the first companion death in the series' history), no one in authority can be trusted, the ruler of the Solar System, Mavic Chen is revealed to be a traitor in league with the Daleks and Bret Vyon, is shot dead by his fellow agent (and sister) Sara Kingdom who wrongly thought him a traitor. Realising her mistake, Sara sides with the Doctor and Steven. It's like a futuristic version of '24' although it's hard to imagine the First Doctor as Jack Bauer. That said, everything changes in episode 7. The Doctor and Steven, along with Sara are back in the TARDIS and have gone on the run from the Daleks. But this episode, cleverly titled 'The Feast of Steven', was shown on Christmas Day 1965 so normal hostilities were suspended for a festive run-around as the TARDIS lands outside a Liverpool police station on Christmas Day and then arrives in a silent movie studio in the 1920s. 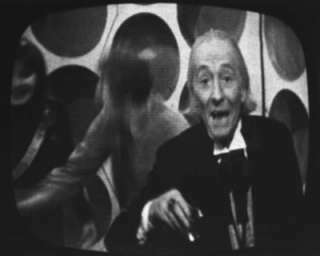 This was intended as a comedy episode and, as such the Daleks don't appear. Although a bit of a respite from the death and destruction of the previous few episodes, it's debatable how much the viewers would have appreciated the humour. I can imagine most would have preferred the Daleks . The ending of 'The Feast of Steven' is unique in Doctor Who history as it's the first, and only time, that the Doctor has ever broken the 'fourth wall' of television, wishing the viewers a merry Christmas. Fortunately, we don't get a repeat performance on New Year's Day when The Daleks' Masterplan resumed. The release of 'Doctor Who and the Daleks' in cinemas resulted in two tie-in record releases. The first was 'Who's Who', a rather jaunty little tune sung by Roberta Tovey who played Susan in the film. One little thing to note about this is that it's the first novelty song or piece of music (excluding the theme tune) to actually be about Doctor Who rather than the Daleks. Speaking of the Daleks, the second record released in the second half of 1965 was the rather excellent theme tune to 'Doctor Who and the Daleks', composed by Malcolm Lockyer. I've never been a huge fan of the film but I've always liked the soundtrack - particularly the theme. It's about as different from the TV series as you can get and very much of its time. Unsurprisingly, the Daleks were all over the place again with the release of a number of books dedicated to them. Sadly, I own none of these Dalek books and two of them ('The Dalek Painting Book' and 'Paint and Draw the Film of Dr. Who and the Daleks') I can find no information on at all. However, in these two cases, the titles are probably a bit of a giveaway as to the contents. Of more interest is 'The Dalek Pocketbook and Space Traveller's Guide'. Written by Dalek creator Terry Nation, this was a guide to all things Dalek, including a map of Skaro, information about the Dalek city and a Dalek Dictionary, though one has to wonder how long the dictionary was, considering the Daleks' seemingly limited vocabulary. Also published this year was 'The Dalek World', the second Dalek annual, following on from 1964's 'Dalek Book'. As with 'The Dalek Book' this was co-written by David Whitaker and Terry Nation and was a mixture of text stories and comic strips. Notably, the Mechanoids from 'The Chase' reappear here in a comic strip sequel to that story. The Doctor himself didn't appear at all in the book although Peter Cushing's Doctor Who did appear in a photo story using pictures from the movie. Amongst all this Dalekmania, some Doctor Who books were also published. Beginning a long tradition that still exists to this day, the first Doctor Who Annual (dated 1966) appeared in late 1965. Published by World Distributors, these annuals have been criticised throughout the years for containing stories that were poorly written with illustrations of the regular characters that bore virtually no resemblance to the actors who portrayed them on TV. Valid though some of these criticisms may be, the fact is that, for many years, this was one of the few (if not the only) sources of new Doctor Who fiction. And in this year's annual we see the return of a number of Doctor Who monsters and villains, including the Voord (from 'The Keys of Marinus') the Sensorites and the Zarbi. Finally, 1965 also saw the publication of two more novelisations of recent TV stories. The first was 'The Crusaders', a novelisation by David Whitaker of his own story 'The Crusade'. Although a fairly faithful adaptation of the TV story in the most part, it does build up a possible romance between Ian and Barbara, something that was never really brought up in the TV series. The second novelisation was 'The Zarbi', a novelisation of 'The Web Planet' by its original writers, Bill Strutton. Another faithful adaptation of the TV story (although personally I think it works better on the printed page than on screen), this is notable for being the only novelisation that constantly refers to the Doctor as 'Doctor Who' throughout. 'The Crusaders' and 'The Zarbi', alongside 'The Daleks' published in 1964, would prove to be the only Doctor Who novelisations to be published for many years. The Daleks' own full-colour adventures continued in their TV21 comic strip. Although the central characters of the strip, the Daleks here are no heroes, portrayed as being just as ruthless as they were on screen. 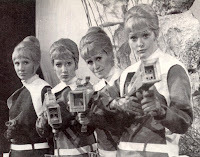 In the strips published in the second half of the year, the Daleks continue their conquest of nearby worlds before returning to Skaro to deal with threats closer to home, such as metal-eating viruses and those Mechanoids appear again, making the most of their fifteen minutes of fame from 'The Chase'.